Welcome to GCS Paving Company of Massachusetts, family owned and operated and serving residential & commercial customers since 1944. 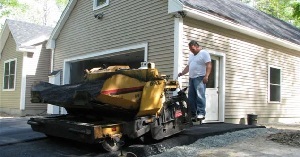 We are one of the most trusted and experienced paving contractors in Massachusetts, providing top quality asphalt paving, pavement installations, hot top installations and asphalt paving repair services. Our professional paving services include new pavement installations, new driveway installations, road repairs, sidewalks, tennis court installations and repairs, sealcoating and landscaping. Whether you're a homeowner, builder or facility manager in Massachusetts, turn to GCS Paving Company for driveway paving and parking lot pavement repairs. Please also contact us for commercial snow plowing and snow removal in Massachusetts. We strive to exceed your expectations by delivering top-notch asphalt paving services on budget and on time. Click here to see our Photo Portfolio. Contact GCS Paving Company to learn more about our state-of-the-art porous paving applications which have been created to improve drainage & pavement safety. We are happy to provide references from our customers in Mass. 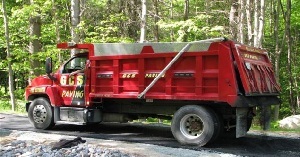 GCS Paving services commerical and residential customers in Massachusetts. We provide a full range of asphalt paving services, installations & repairs. Please click below to see our portfolio. 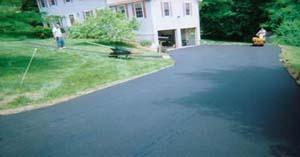 GCS Paving provides expert asphalt paving services, installations & repairs in Massachusetts. Please click here to request a free quote.